Hope you guys had a wonderful turkey day! By now, we’re almost certain you’re stuffed from the festivities. 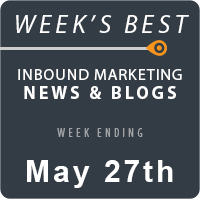 While you sit back and relax, we’ll share with you our top 25 inbound marketing articles that you missed last week on your much needed vacation. Keyword density, title tags, content relevancy; it’s all here in this robust guide to on-page SEO, written by Jason Chesters. We know Facebook itself tends to leave questionable results for our organic traffic, but do Likes serve a lesser purpose as well. See for yourself after reading Matthew Barby’s assessment of the platform. There isn’t usually much talk of Google’s Webmaster Tools. The truth is they are hugely beneficial for monitoring SEO. Chipper Nicodemus shares five ways to do this. SEO sometimes becomes a very large echo chamber. Alice Wilde posts an article on five SEO trends marketers should stop writing about and why. We don’t think you’ll need more than two social media tools at any given time, but here are 44 if you’re thinking of adding some to your wheelhouse. Credit goes to Malik Merchant. The top 10 social media blogs of 2014 are in! Cidney King lists her top 10 in a post. Running contents on social media used to have its perks, but the diminishing of Facebook’s organic reach, you may have to turn back to promoting directly to your site. Read Giancarlo Massaro’s post for more information. Get in on a conversation between some of the top marketing experts about social profile links in the Google Knowledge Graph in this article written by Omi Silo. Here’s every single local SEO parameter and diagnostic that you’ll ever need to know by Phil Rozek. It’s quite a list so certainly check it out. Local SEO is where it’s at for budding entrepreneurs. Read further as Jayson Demers provides additional insight. It would seem that everything has been done in the world of email marketing. Consider however, that we’re merely only meeting expectations on what email content can do. Ernie Smith shows us another level of possibility to consider. Ryan Holiday gives us the nitty gritty details on how he amassed a significant list by passionately focusing on a topic. Caroline Coppel tells us some of the cons that social media marketing content has built-in. It’s not all fun and games, after all! When considering writing a guest post, don’t be the fifth in line with the same thought. Try to drum up some of your best content yet. Melanie Janisse puts this into perspective for us to learn from. How your content gets shared may depend on how your audience views themselves in the context of their identity. Simply put, a user will take into consideration who they are and how sharing a specific type of content can affect their reputation before sharing. Ayaz Nanji explains it all in an infographic. Do you use a blog post or a case study to get your points across? Would it be better as an infographic or social media tweet? Pamella Neely demonstrates which content marketing formats are most effective. Jessica Smith highlights the top five decisions to consider when developing a mobile budget. Pay close attention, as your biggest mobile lesson could come from right here! Get more intelligence on your mobile apps by using Google Analytics for Mobile! Deepak Abbot delves into six important features to keep in mind. Interested in learning how to create a slick user experience for your mobile website? Rahul Varshneya takes cues from the market’s most influential mobile heavyweights on creating an amazing UX. Consider a user’s attention span when they’re shopping through their desktop or laptop. Divide that by a factor of 5, and you have a mobile user’s attention span. Fear not, however, as Momchil Kyurkchiev presents four strategies to stop customers from abandoning your mobile shopping cart. Having trouble keeping customers on your site? Try adding an onsite search bar to increase conversion. Here’s Vitaly Gonkov with more on this little-known conversion tip. Forms are extremely important in the conversion industry. Be sure that you don’t neglect them on your own website. Giles Thomas publishes an in-depth guide on the web form’s power. 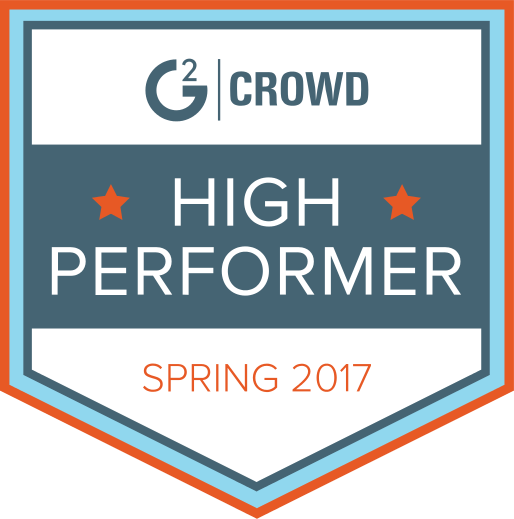 Now’s a better time than ever to learn about proper customer onboarding. Let’s see how Kickstarter moves its customers through the funnel in this feature by Samuel Hulick. Heat maps are an outstanding way to capture performance on your website. Tyler Vawser shares what you can learn by using heat maps on your site in this special guide. Your reputation can only go so far without proactive assistance on your part. John Hall posts seven ways that you can make your business’s online reputation near indestructible.